So, you’ve used our other articles to learn how to bet on MMA, and you’ve managed to win a bit of cash and hide it from the wife. You’ve seen the odds on parlay betting, and figured maybe it was time to capitalize on those big odds. How hard can it be, right? Well unless you’ve got a crystal ball, parlay betting can be a bit tricky. But once you’ve got it figured out, you can make some serious cash. A parlay bet, also known as accumulator in the UK or a combo bet, is a single bet that links several individual wagers together in order to combine the payout odds. The benefit is a higher payoffs than betting each event individually, with the wide risk of losing all your stake if one of the bets losses. If any of the bets in the parlay result in a “push” or tie, the parlay moves to a lower number of bets with odds reducing accordingly. Parlays come after a single bet (doubles are also parlays). 2 bets and beyond are considered parlays, but the different combinations might have other exotic name of their own (source 1). 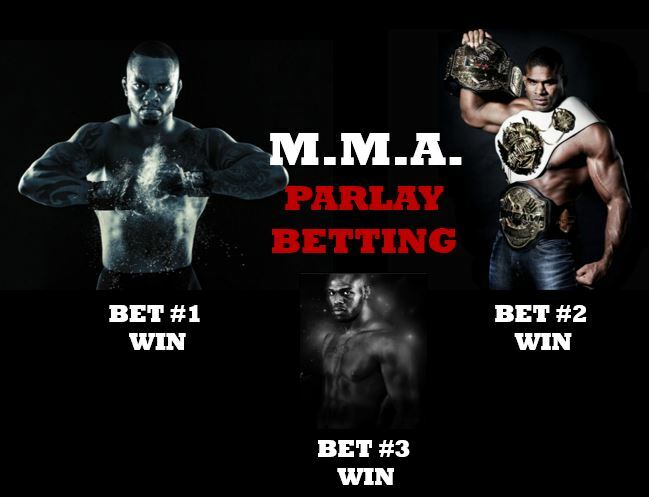 In the most common of MMA parlays, gamblers need to pick the winner of several fights and win all of them. Make one wrong pick, and you lose the whole bet. This doesn’t mean that it’s a suckers bet, it just means you need to do a lot of research to determine who to put your money on. 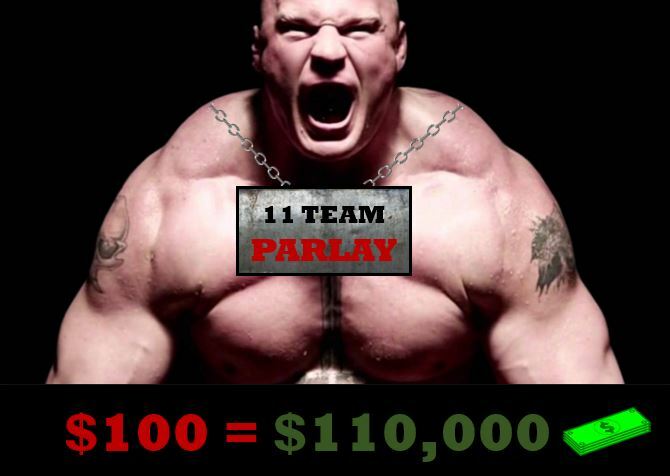 Parlay odds pay higher than taking individual bets, but it still pays below true odds. A 2x MMA parlay pays out 2.6x , when true odds should be 3x. That missing payout is considered to be the sportsbook´s fee. Are MMA Parlay Bets Profitable? 1. MMA Master Mind. Gamblers need to go beyond the main fights and know their fighters well to figure out what are their true virtues and weaknesses are. Off stream fights offer better odds and underdogs show up every time, you just need to be well informed and follow fighter statistics. Some of the most popular MMA sites offer statistical tools like fightmetrics.com (source 2), the official UFC statistical feed used by sites like ESPN and Yahoo. 2. Betting Strategy. The backbone of any gambler that has ever made money consistently. Professional bettors divide their total bankroll on several sportsbooks, and apply a piece of their entire strategy one each after following 4 basic betting tips. A parlay strategy could include a double bet on one site and a hedge bet on another. Hedge betting is done to offset the cost of a loss with a bet on another sport event, or the same fight but another type of bet. Bonus: If you are a rookie in sports betting, your best option would be to find successful MMA bettors on social media that offer their services for free or a small fee. You can find tons on Twitter, Facebook or on tipster community sites. Make sure to follow their progress on a spreadsheet before you jump in to follow. They usually apply strategies and have a full understanding of their specialized sport. Think about different ways you can leverage your risk by betting on different sites and avoiding the limiting conditions on tactics mentioned in the TOS. Bet different stake sizes in order to recover from losing bets on other sites, or use only a portion of your wins to try luck on interesting high paying parlays. You’ve got a $1,000 bankroll on this event. You could split that up, and put $500 on Hardy, $300 on Carwin, and $200 on Brown, and if you win on all 3, you’d profit about $3,159. But if you were to place a parlay bet (+515 Hardy/ +108 Carwin / +130 Brown) and these three picks won, you’d profit about 3 times better – somewhere around $9,479. Not too shabby! The downside of the parlay, if any one fighter loses – you lose the whole bet. And anyone betting on Hardy over GSP deserves to have someone take their money! If parlay is the way you want to go, you need to make sure you know who is fighting and what their strengths and weaknesses are. Research the different fighters so you can determine who has the edge in a particular match, and then take a shot. We do recommend beginning with singles, then move to prop bets, and then try out parlays. If you’re going to take parlays, the best risk versus reward strategy is to bet on two or three fights, max. The odds of you picking four or more fights correctly go down substantially, so be smart and bet realistically. Parlay can be a good option, if you have a good strategy. Great risks can have great rewards. I like to keep my parlays for fun, and then put my big money on straight bets.